Every innovation is eventually eclipsed by superior technology or a new, unique application of the innovation. In just the last few decades we’ve seen cassette tapes, CD-ROMs, and even traditional television, among others, get passed by in favor of better performing products and applications of technology. In the automotive industry, we are on the cusp of seeing a similar mass shift away from traditional gas engines to fully electric vehicles. The speed of this shift will be determined by three things: battery performance, automation of the vehicle, and the serviceability experience. Current lithium-ion batteries are constantly improving, but reaching a sustainable and affordable price per kilowatt-hour is still several years away. Without the subsidy-free price competition against gas powered combustion engines, mass adoption is not likely to be sustained. Several non-lithium-ion battery technologies show potential, such as magnesium-ion and lithium-sulphur, but these technologies are behind the adoption curve of lithium-ion and time to market is still at least a decade away. In that time, companies like Tesla have said they will have an affordable lithium-ion battery comparable to gas costs through use of its Giga factory production. 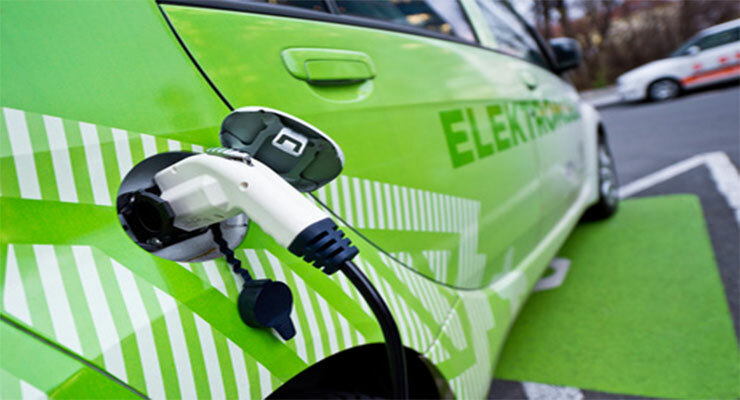 One way manufacturers are enhancing battery performance without touching the battery is through the use of lighter weight materials in the vehicle. Reducing the overall weight reduces the stress on the battery and manufacturers are seeing 15-20 percent gains in efficiency when vehicle weight is reduced by 20 percent. Instead of steel, manufacturers are turning to aluminum or carbon, both stronger that steel, in an attempt to reduce vehicle weight. Just like improvements in the battery will enhance adoption of electric vehicles, so too will the improving performance of automation within vehicles. Manufacturers have been slowly introducing automation over the last several years in features like parking assist, automatic braking, and smart cruise control. The idea of a fully-automated driving experience is the next big step. Recently, Tesla introduced fully autonomous highway driving technology in its Model S vehicles. According to a recent Jabian Consulting survey of 1000 U.S. consumers, more than half of those surveyed believe safety would be enhanced if everyone had an autonomous vehicle, and 40 percent believe we will have fully-autonomous vehicles within the next five years. Automation will also help adoption of electric vehicles through self-diagnosing technology that will require fewer trips to service providers and quicker fixes, often done through a simple software update. According to the same survey as above, more than 60 percent of respondents said they would pay extra for an app that tells them what’s wrong with their car. Because an electric vehicle has significantly fewer moving parts than a combustion engine, replacement parts self-diagnosed by the vehicle could be created at home on a 3D printer and installed by the owner. Five years ago no one ever thought a car would talk to a printer! One of the main influencers in the adoption of electric cars will ultimately be the customer experience, most notably in the service ecosystem. The ability of consumers to become more educated and smarter about their vehicles, either through availability of information on the internet, or through self-diagnosing cars, continues to threaten the traditional vehicle service experience. As women have emerged as the primary influencer and user of auto services, dealerships and other service centers have failed to adopt practices and behaviors consistent with consumer expectations. In the same Jabian Consulting survey, more than 60 percent of women reported knowing more about their vehicle than the service technician gave them credit for, and respect was the most often cited desire among female consumers when asked what they wanted most from their service experience. More than 45 percent said they are considering an electric vehicle for their next purchase largely because of the minimal need for service. Women are also more likely than men to purchase a vehicle online, similar to Tesla’s delivery model. As influence has grown among women, and expectations for the service experience has been missed, opportunities abound for electric vehicle sales that can capitalize on the void created by the traditional auto experience. While service experiences are influential, so too are the experiences electric car manufacturers are creating using gamification and building communities. Owners of the Nissan Leaf can create a persona for their car and compete with other Leaf owners in a virtual leaderboard that measures car use efficiencies, driving tendencies and shared experiences. Use of the community has impacted how people drive so as not to affect their place on the leaderboard. Because digitally connecting people is so readily available in electric connected cars, future communities of users will engage in games and content applications to further cement loyalty, enhance the driving experience, and create brand ambassadors offline and online. 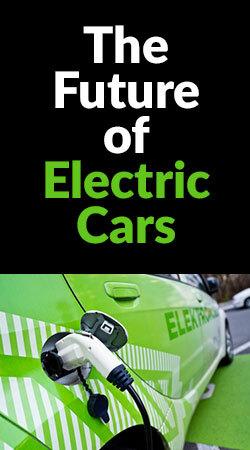 The future of electric cars is certainly a bright one. Though the hurdles for more rapid adoption continue to be on the legal side more than the technology side, those are quickly being overcome. While electric vehicles today only make up nearly one percent of all vehicles on the road, the speed of adoption is increasing at a rate that could see electrics dominate the market by 2025. It’s probably time to start thinking of the electric car version of the slang “gas guzzler”. 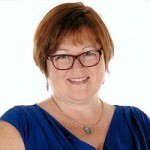 Jenni Crenshaw is an executive director at Jabian Consulting and the leader of Jabian’s automotive group. She is a recognized expert in CRM integrations and transformations and was named as Georgia’s Woman of the Year in Technology.